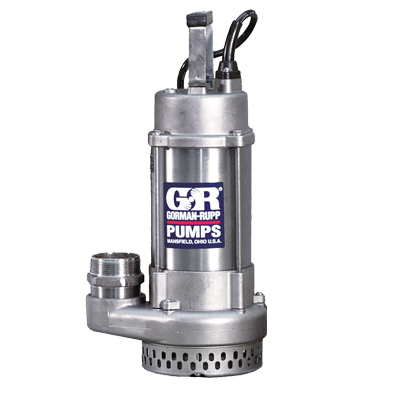 Gorman Rupp SE Series Pump – most commonly used for a variety of industrial applications that include: flooded basements, pools, ponds, pits or anywhere else the pump can be lowered into the water. The Gorman Rupp SE Series is a slim, lightweight submersible pump for dewatering applications where solids are not a concern. It has a max capacity of 85 GPM, max head of 58’, horsepower of .33-1 HP, and a voltage of 115 V 1P. A 12 Volt model is available that runs off a truck battery in the event of a power failure.